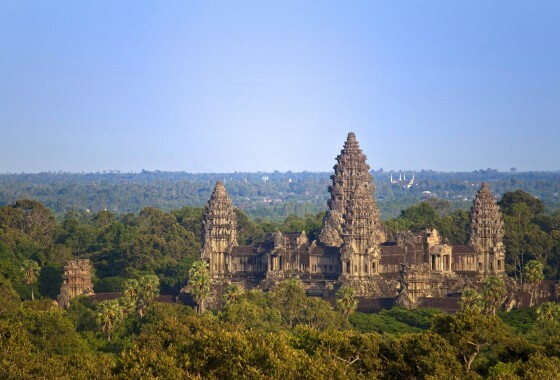 The seat of the Khmer Empire between the 9th and 15th century the temples of Angkor Archaeological Park dot an area of 400km² - within it you'll trip over one anywhere and everywhere, in lush jungle or farmland alike. 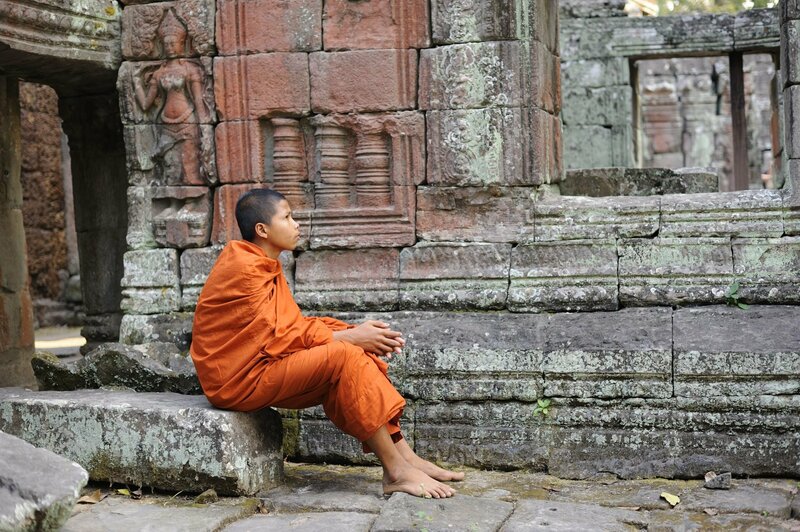 UNESCO since 1992, Angkor's temples exude a rare majesty and mystery that few places on the planet can match. Angkor Thom is the great walled and moated city that was the heart of the Khmer kingdom – the last great capital of the empire. 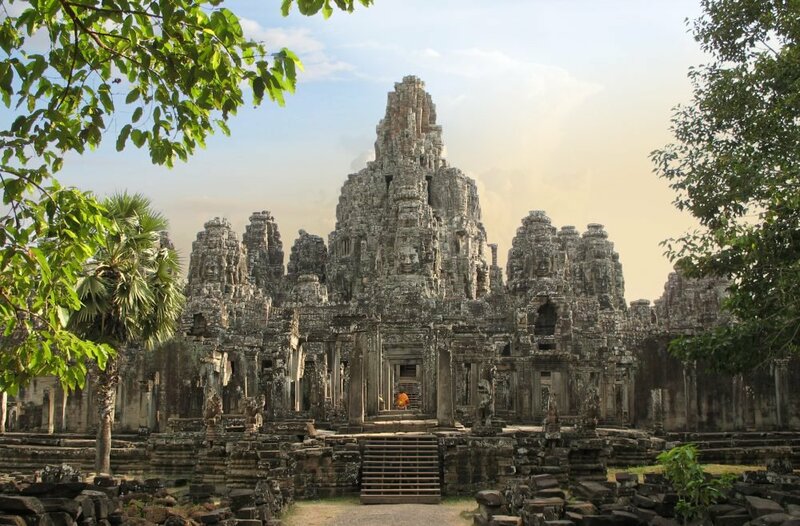 Entered by five huge, elaborate gates each topped with four faces of a bodhisattva, within the city walls, the enchanting Bayon at the centre, you’ll find a number of sites of interest including the Elephant Terrace and the Terrace of the Leper King. Located at the exact centre of Angkor Thom, the Bayon is so unique that experts still aren’t sure exactly what it symbolises and what it was used for. Over 200 enigmatic faces stare out in all directions over the empire from a series of towers – wind your way along corridors and up staircases to find yourself amongst them and join their vigil over the surrounding jungle. 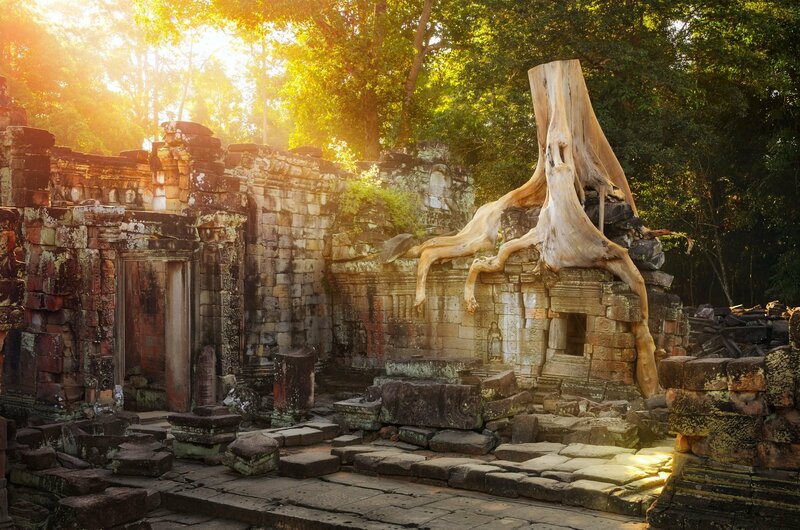 The crumbling ruins of Ta Prohm is one of the most atmospheric of Angkor’s temples, purposely left in a state similar to when it was discovered. With the jungle encroaching on all sides and towering trees thrusting out of the stone itself, wandering the courtyards and corridors is quite the adventure. 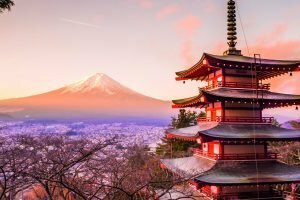 For those who have a bit more time to explore the temples, the Grand Circuit really shows the variety of architecture on display in the park. 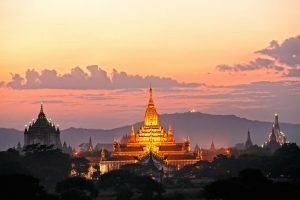 This leisurely 26 kilometre route takes you to the temples of Preah Khan, Neak Pean, Ta Som, East Mebon and Pre Rup, the latter also being an excellent spot for sunset. To get really off the tourist trial at Angkor is not an easy feat but venturing to the undiscovered temple of Banteay Thom will give you your adventure fix. 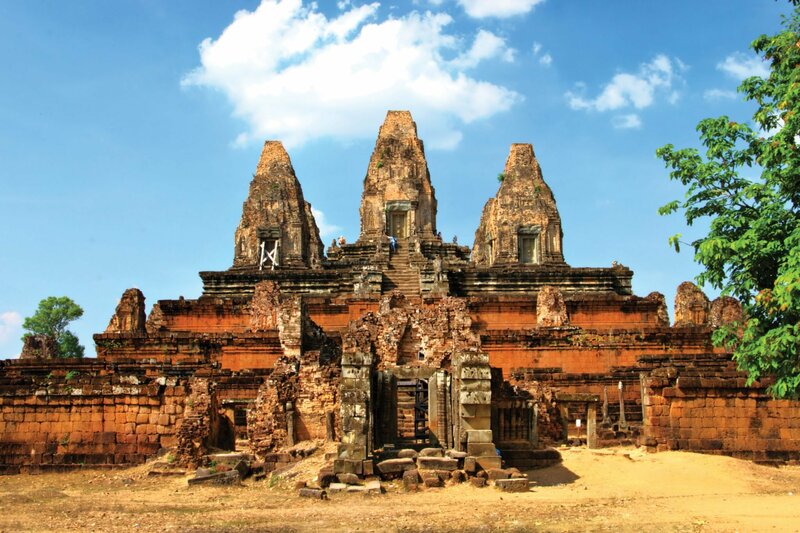 Only 3 kilometres from Preah Khan you’ll have to negotiate sandy tracks on bicycle or foot and pass through peaceful countryside and a local village to reach Banteay Thom, but your reward will be an Angkorian temple virtually to yourself. Set about 25 kilometres outside the main temple group, the captivating temple of Banteay Srei (Citadel of Women) is a richly embellished vision in rose pink sandstone, often called the ‘jewel in the crown of Angkorian art’. Dedicated to the Hindu god Shiva the decorative reliefs are so delicate, it is said that they could only have been carved by the hands of women. 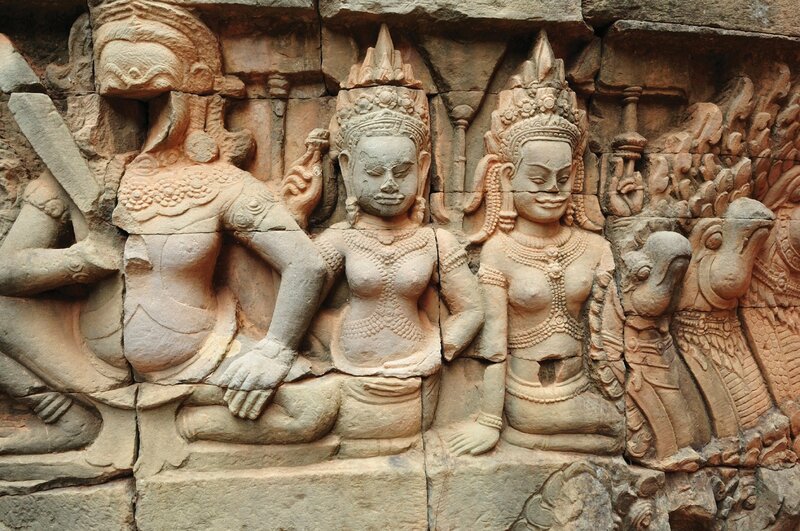 The outlying temples, with the exception of Banteay Srei, give a much quieter experience. The little visited Roluos Group actually pre-date most of Angkor’s temples, whilst Beng Mealea has been left in the grips of the jungle. 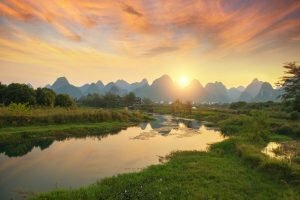 Get fantastic views over Tonle Sap from hilltop Phnom Krom and enjoy the tranquil nature at Kbal Spean, a site of numerous carvings in a river bed.